This is the Pit. And it is aptly named. We named it “the Pit” to go along with our “stone” theme all over the place, but instead, it just looks like a pit (and not cool one either). We have kids in The Pit on Sunday mornings in Kid’s Kanyon. Our student ministries meet in there on Tuesday & Wednesday nights. We have used it for things like RECESS. And if the condition of the space and environment is any indication of what we value – then we aren’t communicating that we value those things. SO…we are doing something about it. 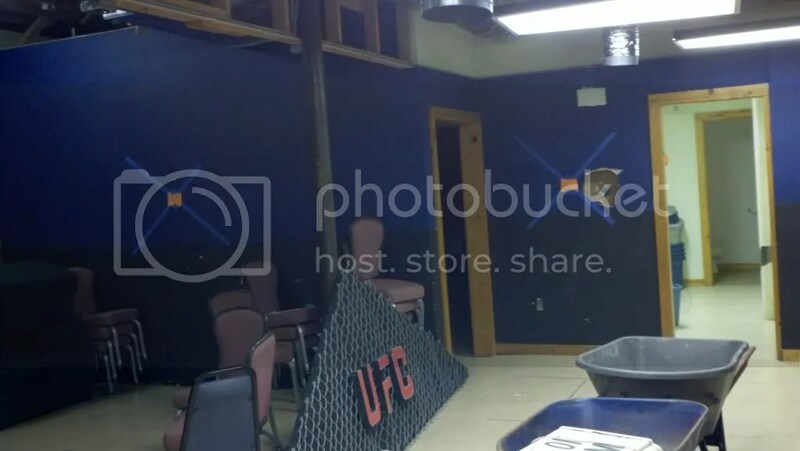 The Pit is about to get a renovation (on the cheap). The layout doesn’t match our needs, the Junior High group has outgrown the space, and it is simply…gross. The first step is demolition! That is where you come in. Tomorrow, Saturday, October 22nd @ 8:30 am volunteers will gather to destroy things (like walls). So if you’ve had a rough week and need an outlet for aggression – here is your chance!! We could use as many as possible! I’m trying to get a better handle on what are things in my life I participate in that are simply habitual. Meaning, for whatever reason, over time, they have become a part of my life on an ongoing basis to the point where I now partake in it without much conscious thought of whether I really desire it, need it, want it, or benefit from it. Now, if something is a habit, you can’t imagine living without it. That is what habits do. They convince you that you HAVE to have it and you CAN’T live without it. It is only by the power of discipline that you strip a habit out of your life, and you have a window of opportunity to reassess the “habit” based on those questions: 1) Do I really need this? ; 2) Do I benefit from this or is it hurting me? ; 3) Do I even desire this?. Going out to eat. That’s right. I haven’t gone out to eat in 30 days. You have no idea how big of a deal that is to Kelly and I who eat out ALL the time! When we tell the kids it’s time for supper, they literally move towards the car. Giving up coffee. Now, I didn’t have to. I could drink it black (or with coconut milk), but I hate black coffee. I normally drink 32 ounces of coffee every morning (decaf since June 2010 because of high blood pressure). For 30 days I haven’t had anything to drink except water. Nothing. Giving up dairy. Hello!!!? Are you listening to this? I couldn’t have ANY dairy – no milk, no yogurt, no cottage cheese, NO CHEESE…ANYWHERE…including on fries. I couldn’t have breads, grains, pastas, white potatoes, artificial sweeteners (that means no soft drinks), legumes, alcohol, processed foods, pizza, cheese fries, and ALL of my favorite things. In addition, over the past week I gave up Facebook (that could be another blog post, but I hate the new Facebook!!!). I’m not saying it will be forever, but for the past week I’ve not look at the newsfeed (I still respond to Facebook messages or anything someone posts on my wall). I don’t want 32 ounces of decaf. coffee everyday. Saturday morning sounds like a good time for it, but I don’t need or want it daily. I think I drank it everyday because somehow, someway, I just started to do it and it became a habit. In the 30 days I was never starving. What I ate filled me up and I felt great. I’m not sure I need all the above to feel full. 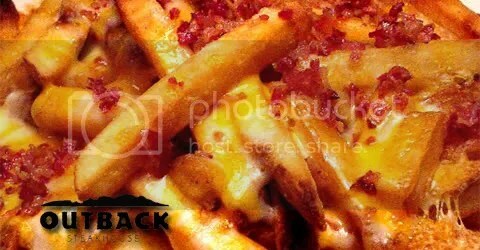 I’m OK with not eating Outback cheese fries on such a regular basis that they recognize my # on their caller ID. I have so much more time now that I’m no longer checking my Facebook newsfeed and my wife gets less irritated with my inattention. I lost 20 pounds in 30 days. I like how I feel. Now I’m on a search for all the things that are habits in my life (things that I do so routinely anymore that I don’t even think about it…except showering…I’m keeping that habit) that needs to be cut off to see if it is something I really need in my life, or even desire. Jesus was a revolutionary who said things in a manner and way that people of his time were unaccustomed to. It was shocking. It was refreshing. It was angering. It was unlike anything they had heard before. Even thought there were many teachers and rabbis in Jesus’ day who taught the people, when Jesus spoke it was with an authority that they had never experienced before. 2000 years later this revolutionary teacher has left us with teachings that are still difficult, hard, shocking, and confusing. 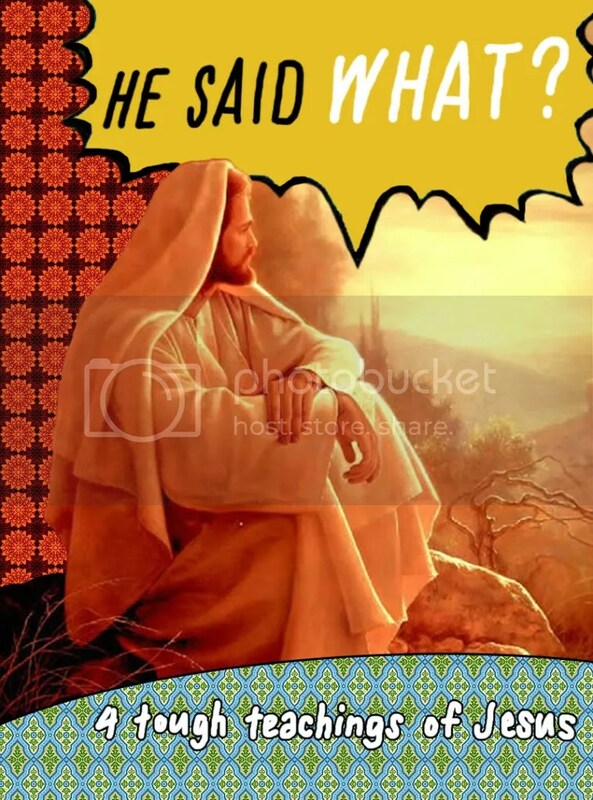 So, this Sunday we begin a four-week message series entitled, “He Said What? !” to unpack some of Jesus’ most difficult sayings. 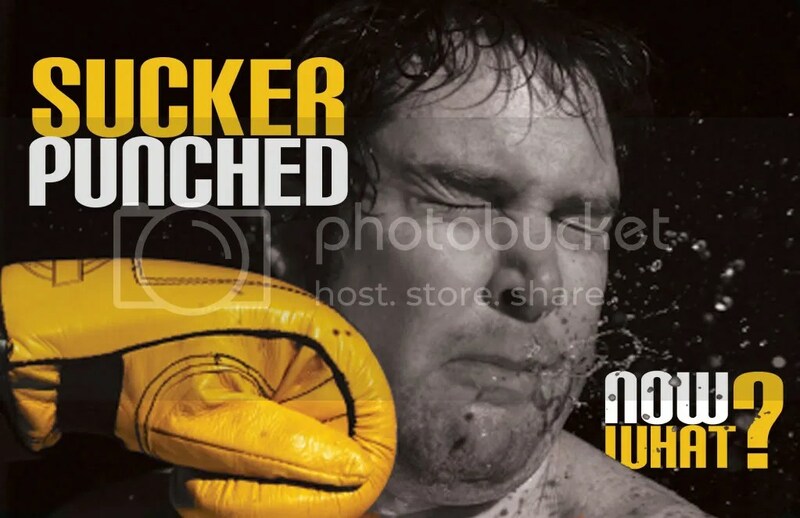 This past Sunday we concluded our Sucker Punched series. I’m glad. I’m a little emotionally drained by it. A few times, as some of you may have noticed, my allergies kicked in during my message and it might have looked like I was a little weepy. I wasn’t. I’m too masculine for such displays. For my concerned guy friends, you’ll be pleased to know I’m now on Clairtin and it should be better. I’ve enjoyed this series. Usually by the end of a series, I’ve wanted it to be over weeks ago and I’ve mentally moved on. But this series I felt engaged all four weeks. I’ve also received A LOT of response from this series. More so than normal. I’ve heard a lot of sucker punched stories. In addition to the personal e-mails, notes, or Facebook messages, we saw videos of stories here at LSC (thank you to Doug Harsch as filming, editing, and rendering a video is no small task and he did four of them in four weeks). And finally, we encouraged people to write on half sheets of paper their sucker punch story, a prayer request, or a next step action out of being sucker punched. In total – it was a lot of stories. And after reading all of the stories, I just feel humbled. There are a lot of hurting people here (and that is just from the ones I know!). It might be a normal amount for a typical church, but it seems like a lot to me. And in the end, I have this thought…I wish this church had a better pastor. I do. If I had to hire a pastor for the Living Stones Church, I’m not sure I would hire me. I’d look for someone who is a lot more spiritual. I’d look for someone who is a lot better at counseling. I’d look for someone who is more pastoral (in the genuine sense of the word). I would look for someone who had their act together more so than I do who doesn’t struggle with the thoughts I do, or behaviors I do. I would pick someone who knows the Bible more and prays with greater ease than I do. I’d hire someone who doesn’t walk around with a perpetual sense of insecurity about how to deal with so many sucker punch stories. As I read this I worry that you might think I’m trying to communicate some sort of false-humility in the guise of the “I’m not a perfect Pastor” (as if you didn’t already know that) speech. I’m not. I sincerely do have these thoughts. But don’t worry about me. I have enough pride and arrogance that I’m not overwhelmed by them. 🙂 And even in the midst of these thoughts, I know I’m called to be here at the Living Stones Church. So, in the end, I recognize that I get to be here doing what I love to do, with a group of people I absolutely love, simply because of God’s grace. That has to be it. Because he couldn’t have looked down on the face of the earth and chosen me due to my spiritual qualifications and accomplishments. Thank you Living Stones Church for the honor of allowing me, a sojourner with you in this Kingdom venture, to be called your Pastor.